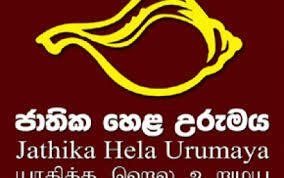 The SAITM private Medical College should be abolished, the Jathika Hela Urumaya (JHU) said. Jathika Hela Urumaya Deputy General Secretary Anuruddha Pradeep Karnasooriya said the possibility of absorbing SAITM to the Moratuwa University as its medical faculty should be sought. He made these observations at a press conference at the JHU political office in Battaramulla on Tuesday. He said when SAITM is set up as the 9th medical faculty in the country, students should be recruited to the institute by the UGC under the accepted criteria. Karnasooriya said a panel of experts should be appointed to address the issue of SAITM students and to see if there is a possibility to recruit them as medical students. He said the response to the students who protested on Monday was unacceptable. The country should not see the history of 86/87 period repeat again. SAITM should be abolished soon," Karnasooriya said. Ven. Handigalla Vimalasara Thera said SAITM is an illegal institute that engaged in defrauding of billions of money. It lied that it had the approval of the Sri Lanka Medical Council (SLMC) and had a teaching hospital. It also lied about Sameera Senarthne's shooting incident. The JHU never hesitates to protest against the injustices," the Thera said. "The JHU objects SAITM that was protected by Mahinda Rajapaksa and being protected by the present government, he said. Karnasooriya said the JHU has no issue with persons but with their wrong doings.